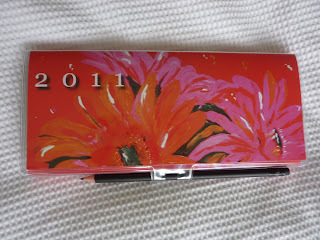 Today most weekly-format 2011 planners begin! Today I'm starting my Moleskine Vertical weekly planner with my tweaked week + notes format! I had the idea to use the vertical format like this back in March, so I've been waiting ever since then to try this experiment. I can't wait to see how it goes! 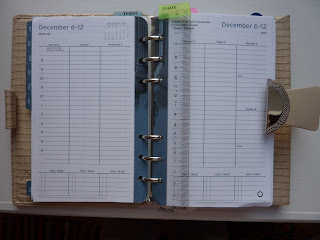 I was going to start my 2011 WeekDate planner today but realized I should try it in the second half of January instead because until then none of my recurrent weekly events are going on, so to give the WeekDate a fair and realistic trial I need to use it when I have recurrent events. I've been obsessing about WeekDate planners since July so I'm very interested to see how it will work for me! 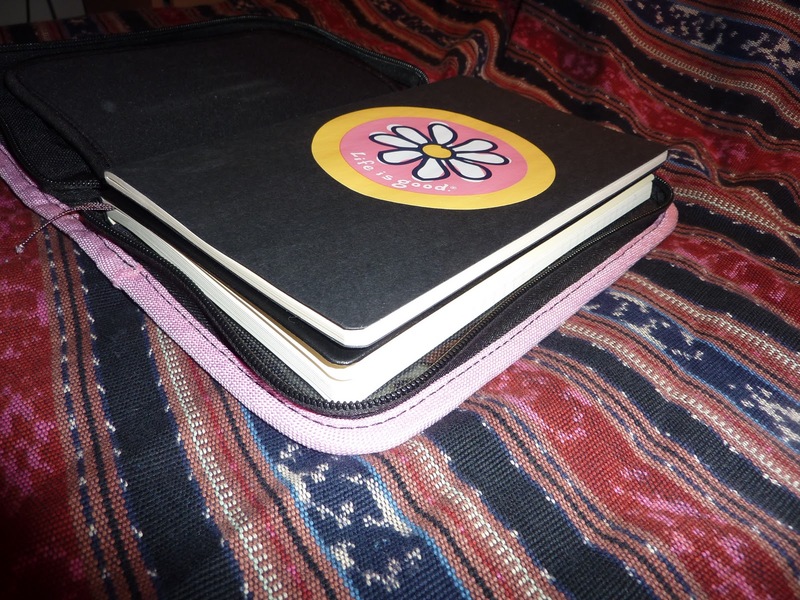 Below are photos of my two main contenders for Planner Of The Year 2011, my Moleskine vertical weekly and WeekDate planners. 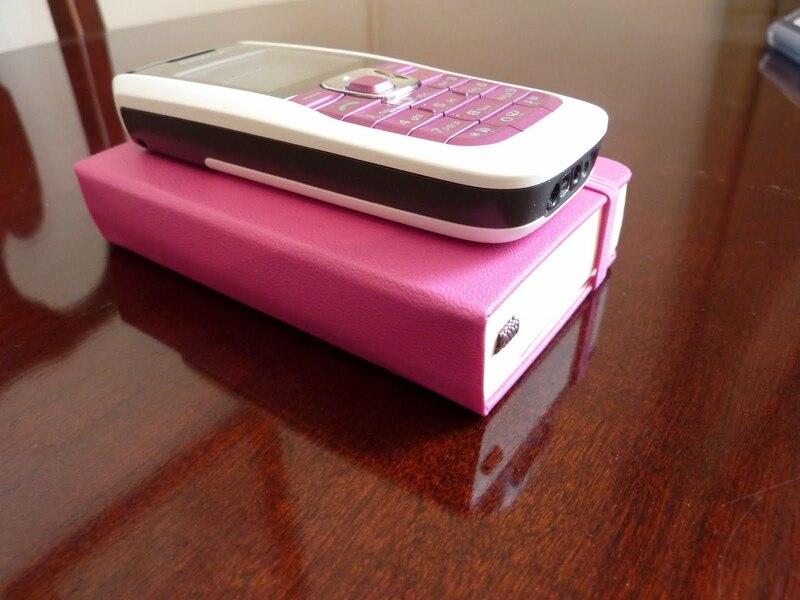 Both of these planners are portable, slim and light. 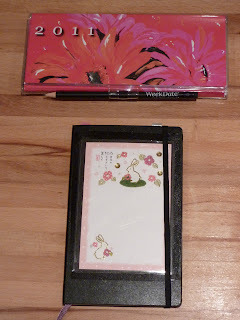 They both have pretty covers (since my addition of the rabbit postcard on the Moleskine for 2011 Year Of The Rabbit). 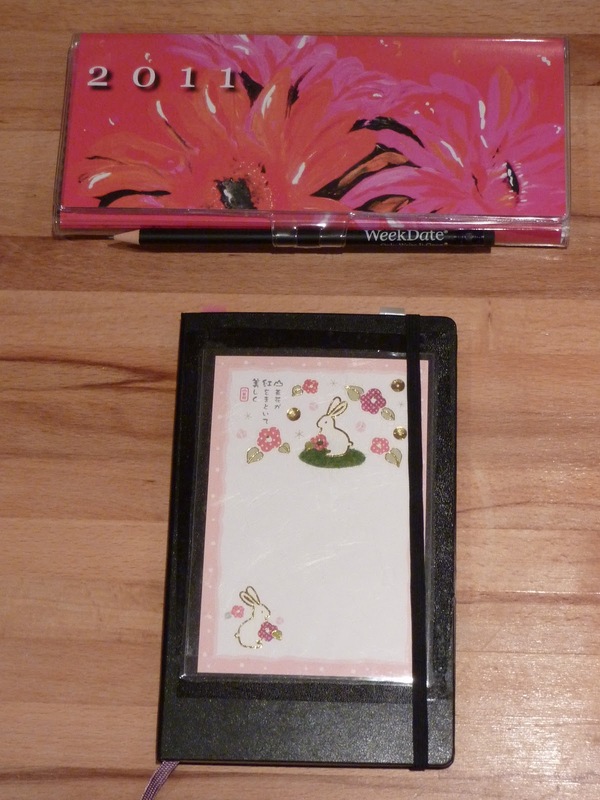 Both of these planners are easy to carry with me everywhere and pleasant to use. Here they are both open. 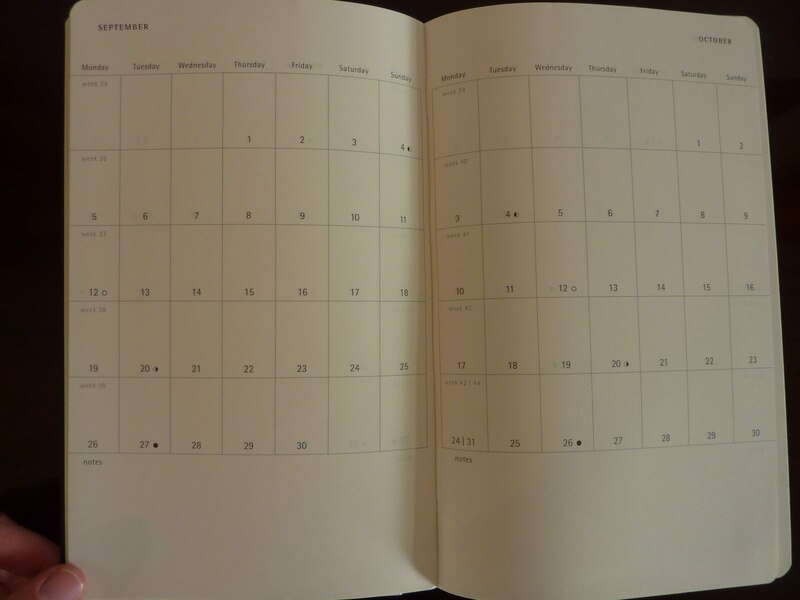 They both have a weekly layout with the days as columns. 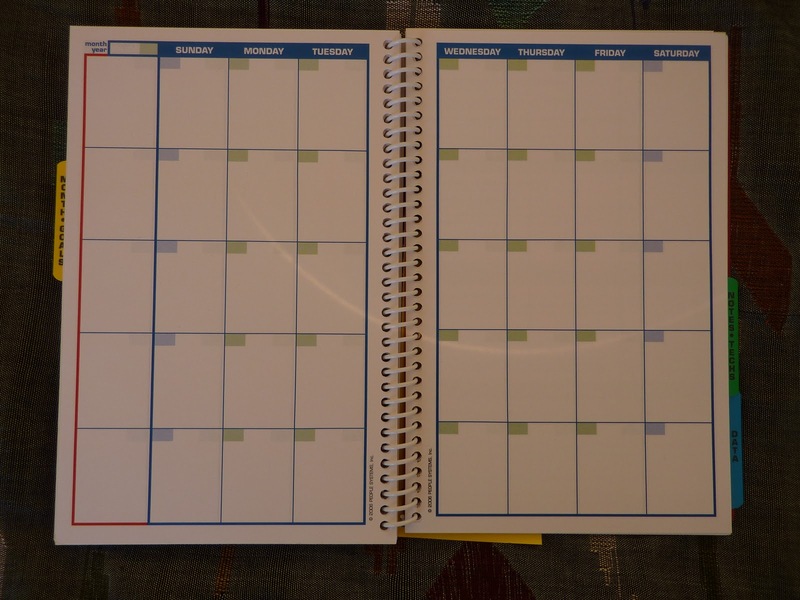 These planners are both elegantly simple but in different ways. The WeekDate's "Only Write It Once" system means nothing slips through the cracks, and everything is visible at all times. This is fantastic for my out of sight, out of mind tendencies. The Moleskine vertical weekly has the advantage of being a regular, bound book with a simple layout that I could customize in many ways. 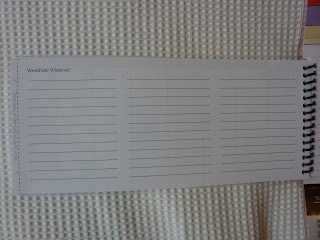 I plan to use the top as my daily columns and the space below for my lists. 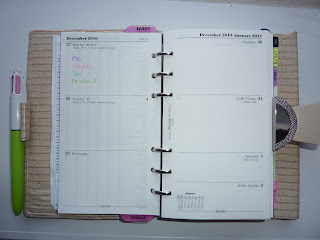 I'm on a quest to settle on a planner by the end of January and use it for the entire year! Can I do it? Only time will tell. 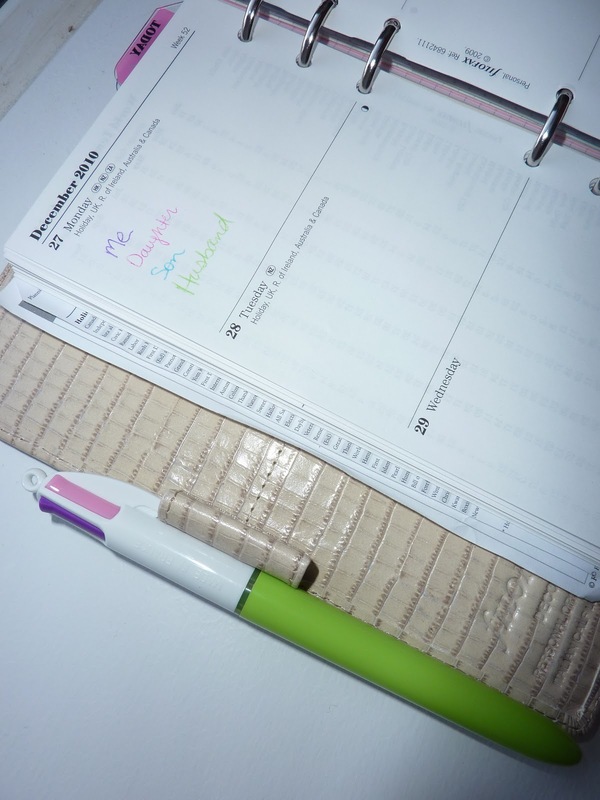 Are you starting a new weekly planner today? 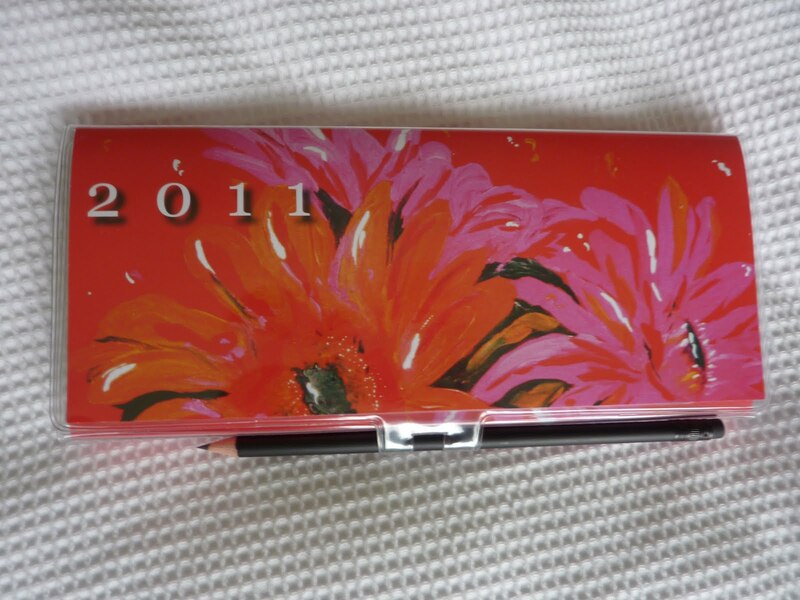 Did you stick with what you used in 2010 or are you using a different planner for 2011? I'd love to hear what everyone is using, and if you don't mind please give some details about how you'll use it too. 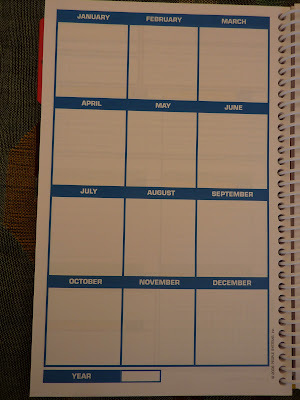 I've used my 2010 Trinote more than any other planner this year. 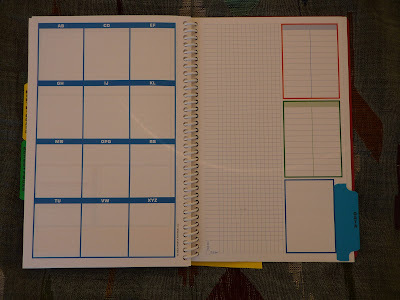 Tomorrow I begin my 2011 planner experiment. Tri and I have been through a lot together in the 5 action-packed months I've been using it. 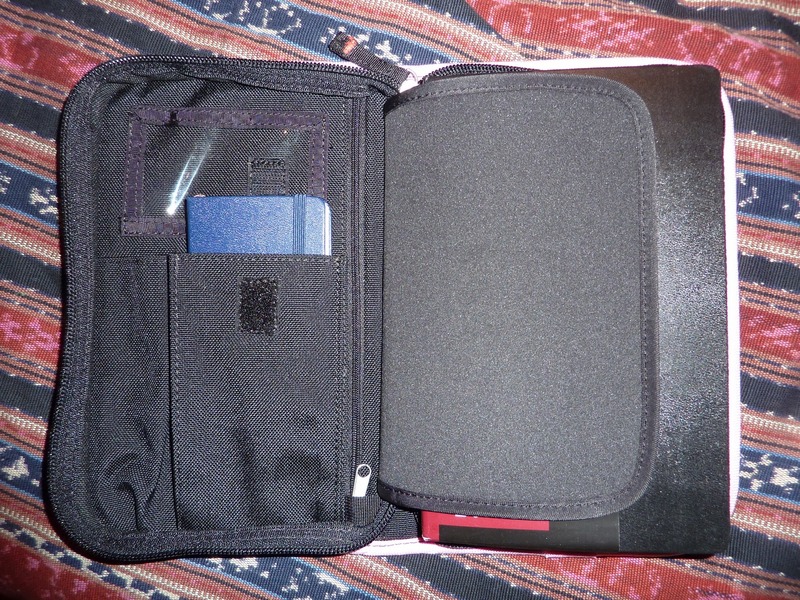 It helped me through my move, kept me organized through the fall and early winter, and generally kept me sane. 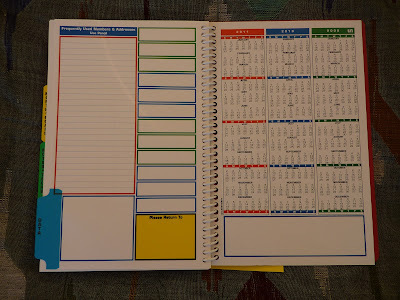 I've done a lot of planner experiments in the time I've been using it, and have always come running back to my Trinote after every planner failure. So far nothing else has been able to function as well as my Tri. I'll do a couple more planner experiments to see if I can find something that works as well for me in a slightly smaller book. But waiting in the wings is my 2011 Trinote just in case I discover than nothing else can match its functionality and organization. Thank you Tri! You are the Planner Champion of 2010! Or rather, there is no Perfect Planner, I think. I've come to this realization lately as I'm using my Filofax Deco with 2 Days Per Page planner insert, which is going well but isn't perfect. Click on the link and scroll down to see my comments and updates on how it's going. 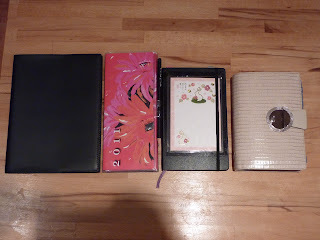 I started thinking of all the planners I've used, what has worked for me and what hasn't. 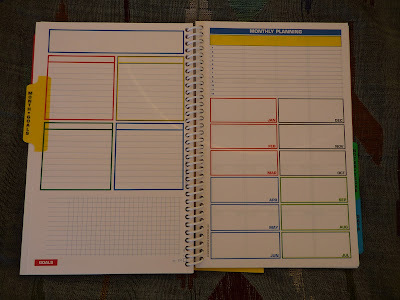 And it makes me think, of all the dozens/ hundreds of planners I've used, the fact that I haven't found The One makes me think I'm doing it wrong! 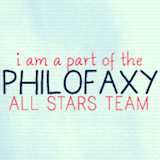 I mean, really, I must be. 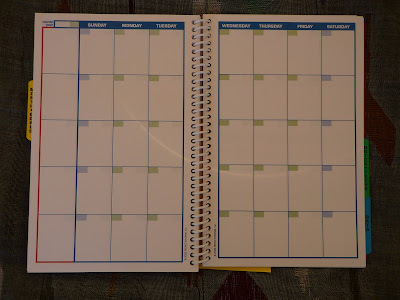 What I thought was my ideal planner, with a big weekly layout, large day spaces and lots of space to write lists on the weekly page results in total overwhelm when I have so much written on the pages that I don't even know where to look first. 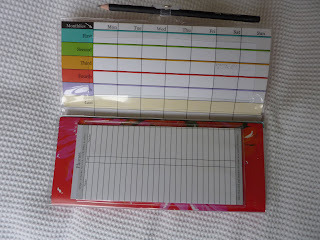 But when I take things off the page and put them behind tabs in my Filofax, I have the out-of-sight, out-of-mind problem. There is no perfect solution. I just have to be disciplined enough to check my lists regularly, and re-write things if I need to. 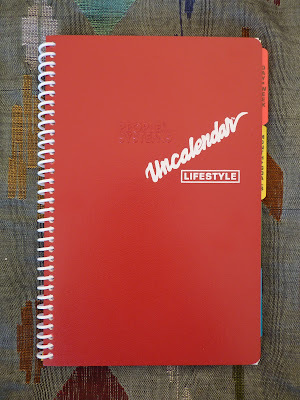 I don't need a better planner, I just need to be a better planner user. That said, some planners are better for me than others. For example, if the day spaces are too small to write everything I need, the planner is destined to fail. Also, some planners are better for me at different times of my life and might not work at all at other times. 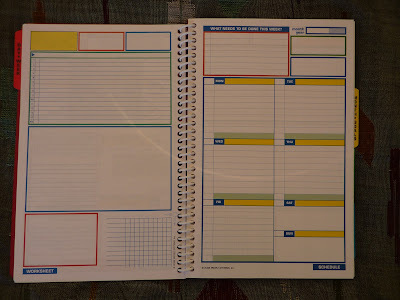 Example: the day per page planner that worked beautifully for me for all of 2005, but DPP planners don't work well for me during times when I need to do a lot of planning ahead. 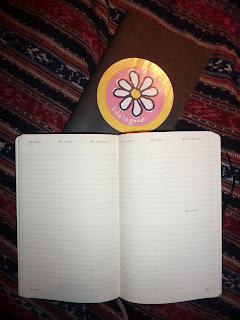 My other issue is that it's impossible to settle on one planner for a whole year when my life (and planner needs) change so much during that year. Is there any perfect solution? Probably not. 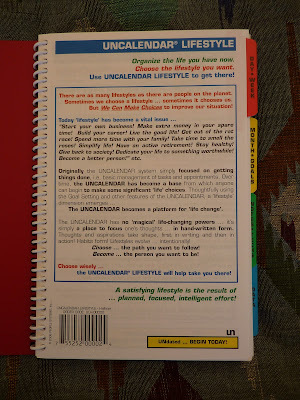 But I will continue to search for, if not my Perfect Planner, then at least the best planner for my current situation. 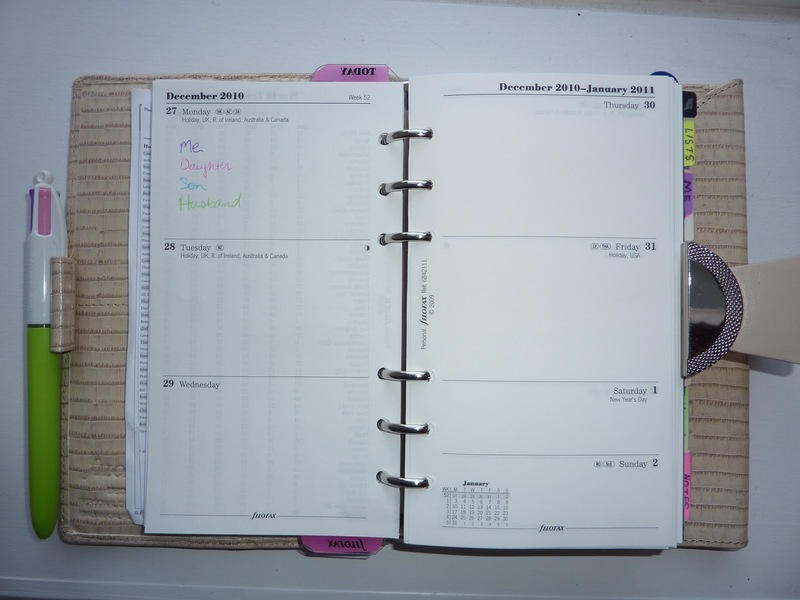 Do you use your planner in a different-from-usual way? Let's hear it! I found this limited-edition fashion-color Bic 4 color pen at Tesco the other day and had to grab several of them! I couldn't resist the purple, pink, turquoise blue and green colors. As soon as my kids spotted mine they each had to have their own too! Even though I originally bought this pen purely for fun, it has turned out to revolutionize my color-coding method. Originally I used black for most things, red for very important things, blue for travel and my husband, and green for exercise. 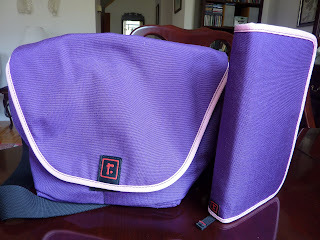 Now I use the colors as shown in the photo: Purple for me (of course! ), pink for my daughter, blue for my son and green for my husband. Now when my daughter needs to take something in particular to school, has a library book due or has a dance class, it's noted in pink. When my son has sports practice or learning activities, I write them in blue. This has really helped me visualize who needs to do what and when! Another way I use the person-designated colors: when my son has sports (written in blue) and my husband takes him there, I circle it in green (my husband's color). When my daughter has dance (written in pink) and I take her, I circle it in purple (my color). This way I know who is taking which kid where and when. Excellent! And on top of all of this functionality, the pen looks especially gorgeous in my Deco with my colored tabs! Yes I went searching for the 2011 Moleskine catalog to see what new items are coming out next year. Turns out, there's a lot! There are beautiful cover art journals that I can't wait to get my hands on (pg 21). New Passions journals include Baby, Dog, Cat, and Garden. 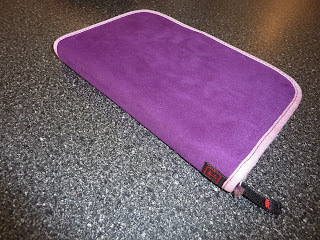 New Folio items in colors like yellow, pink and purple (!!). In addition to the current lineup, there are several new planners! 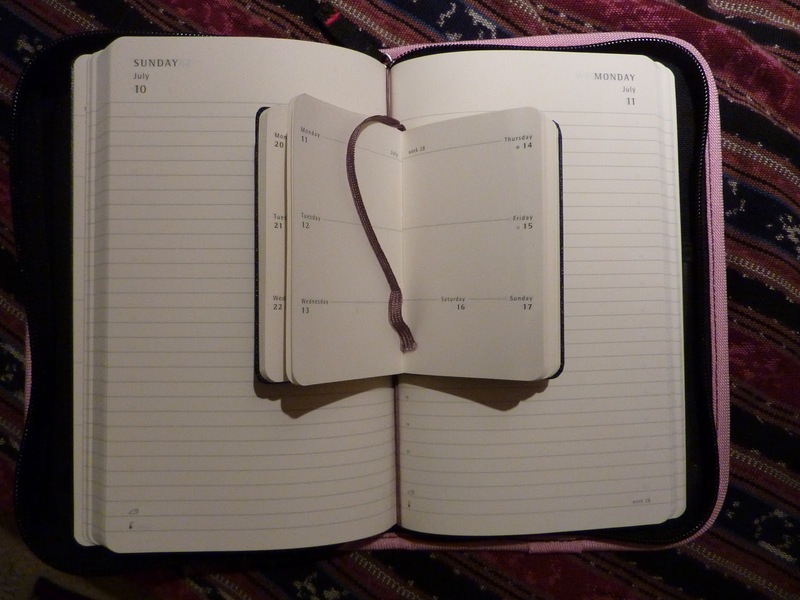 There are weekly horizontal planners with cover art by the Moleskine community (pg 88). 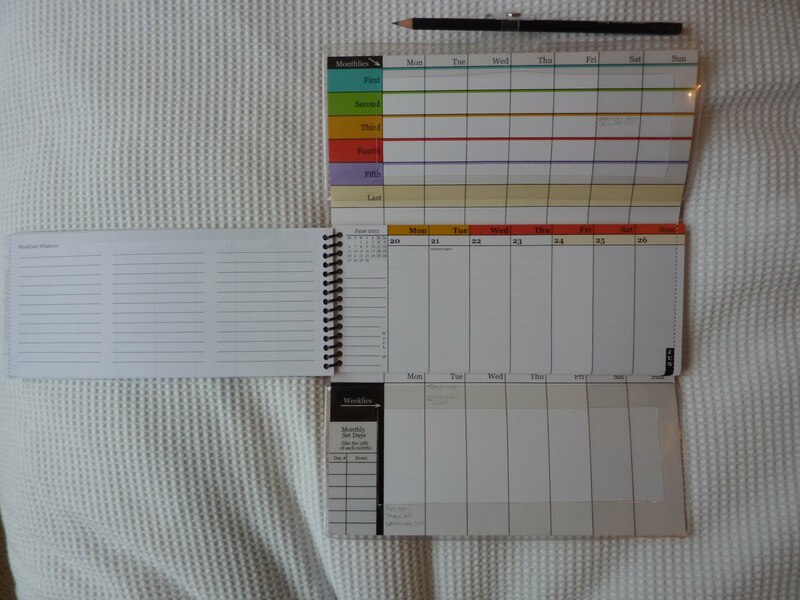 The Action Planner is in the Extra Large size, vertical format with extra space for notes and lists each week. 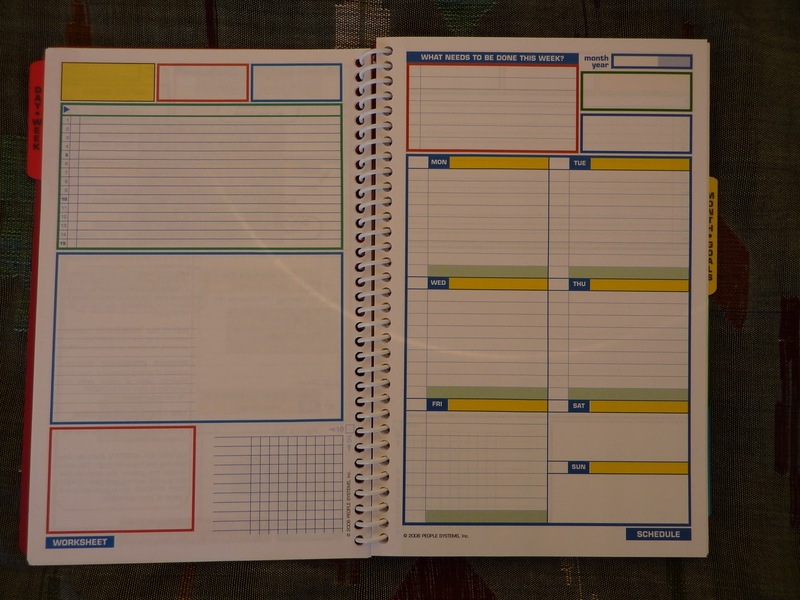 The Taskmaster Planner is also in the Extra Large size and has 4 pages for each week: a 2-page spread vertical weekly format, "followed by two pages for weekly actions and projects." Both of these planners look awesome and are officially on my must-have list for next year! And, shockingly, there are Cahier planners (pg 97)! I'm not sure how the cahier cover will withstand an entire year of use, but this is a nice option for a light, flexible cover. These include a one-week per page horizontal format, and 3-Piece planners with weekly and daily pages and large pockets in the back. Very interesting! There's even Peanuts and Pac Man cover weekly notebooks and daily planners! Moleskine's ever-increasing line of planners never ceases to amaze and inspire me. 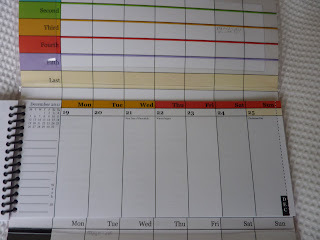 Here are some ways I'll use my 2011 WeekDate planner. I hope this will give anyone using a WeekDate some ideas on how to use it. 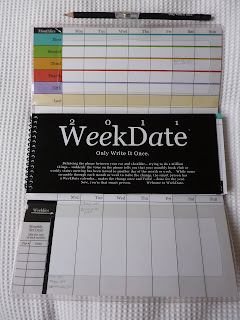 And if you are using a WeekDate planner, I would love to hear from you! Please post a comment! Below is a photo of my WeekDate completely open. 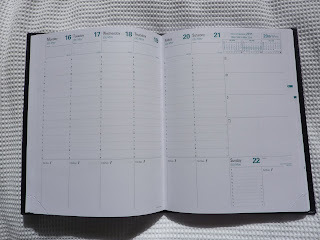 If you haven't seen how this works yet be sure to check out the WeekDate website at www.weekdate.com or read my review of this planner to learn more about how this unique system works. The brand's motto is, Only Write It Once. 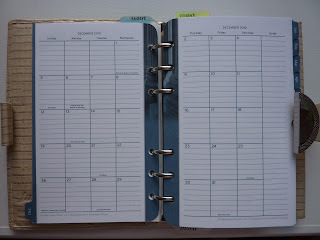 The planner's layout allows monthly recurring items to be recorded in the top section, weekly recurring items in the bottom section, and daily specifics in the middle section. It's pure genius. Each day's column width is 1 1/8 inch wide (as measured by me). 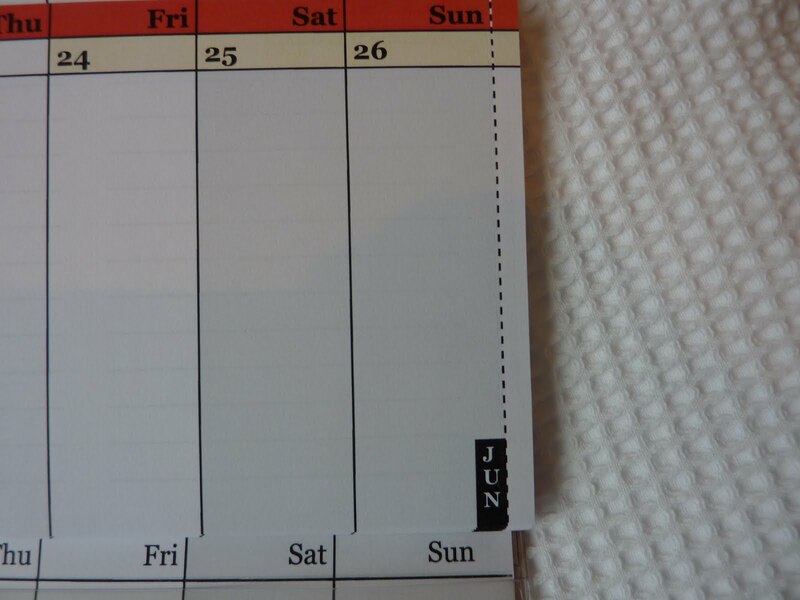 Every day's column is the same size (meaning weekend days, even Sunday, have the same size as weekdays) which is great. Each daily column in the middle weekly section is about 3 1/2 inches long. And, the columns in the recurrent weekly (bottom) section are 4 inches long. So that's 7 1/2 inches of writing space for each day. The page opposite for lists and notes is nearly 9 1/2 inches wide and 4 inches long. So overall, there's tons of space to write each week. I plan to use the Recurring Weeklies space extensively. The Recurring Weeklies area is at the bottom of the page, and is large enough to write in everything that happens each week. In these spaces I have written: my kids' dance and sports practice schedules, household cleaning routines, trash/ recycling pickup and which week it happens (trash pickup on odd weeks, recycling on even weeks. The week numbers are printed on the weekly pages for easy reference. What a relief to not have to write "Trash" or "Recycling" over and over each week!!). On Sundays I've written reminders of things to prepare for the upcoming week, like anything my daughter will need for school that week and writing out my son's homeschooling lesson plans for the week. Before I received my WeekDate planner I wondered if the day spaces would be large enough for me to write everything I need to. 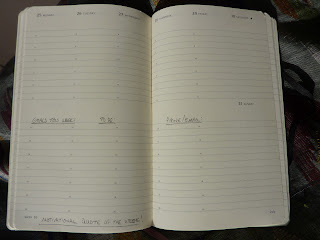 Now that I am starting to fill things in for January, I'm realizing that much of each day is recurring and can go in the bottom section, which frees up loads of space in the day spaces in the weekly section. 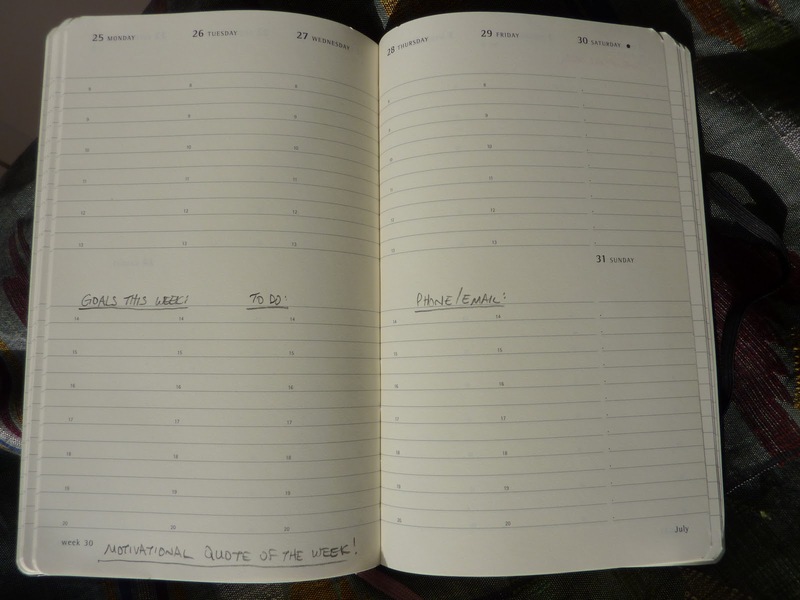 On the Weekly pages I'll write everything specific to that week. 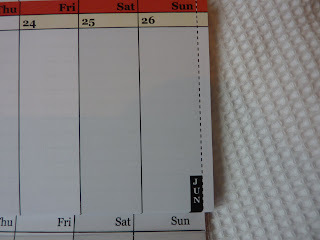 I love the lined space under the monthly calendar directly to the left of each week. This is where I will write the week's Goals, to keep them visible all week long. On each day's space I'll write appointments (circled) and tasks that need to be done that day. If for some reason I don't get something done that day, I'll just arrow it over to the next day. No rewriting! The lined space is arranged into three columns which I will use for To Pay/ Buy; To Do/ Call, and @Computer. This setup really helps me streamline my tasks and especially helps me make efficient use of my computer time. As I have already mentioned often in the past, I am completely out of sight, out of mind. 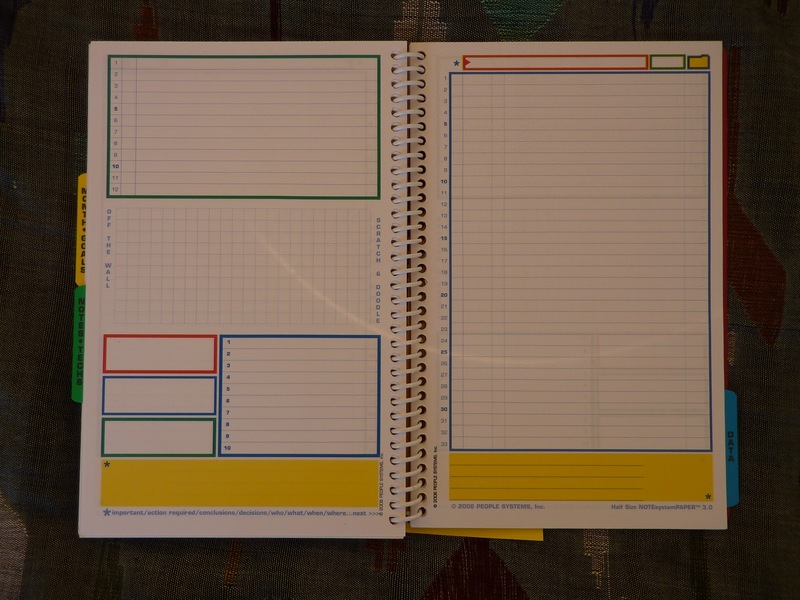 So this planner setup is incredibly appealing to me. I only have to write it once, and then it's always there in front of me! No more details slipping through the cracks! It makes me want to do a happy dance! I'm already sticking things into the clear front pocket like our local library's bookmark with their phone number and opening hours (we go to the library a lot!). 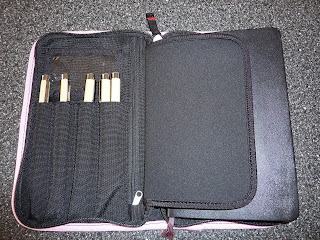 This pocket is very handy for anything you need quick access to (like the Phone cards included) and folds out of sight when the planner is closed. On the black cover I'm sticking two extra-sticky post-it notes (that my awesome sister sent me awhile back). The post-its measure 4 inches square, so they fit perfectly on the cover, two side by side. 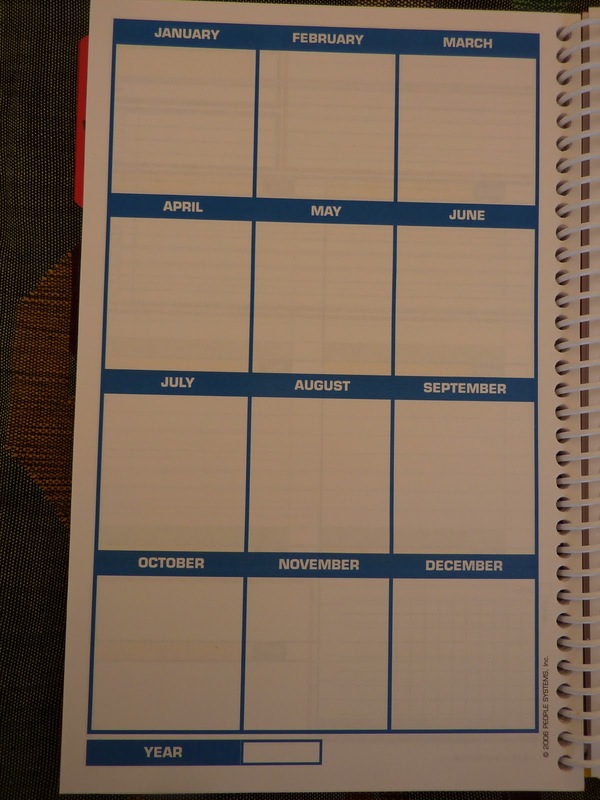 I'm using blue notes because I associate monthly planning with blue for some reason. Anyway, the left note will be my list of goals for the current month, and the right note will be upcoming events to prepare for over the next two months. This will keep these items in view right up front every time I open my planner. At the end of each month I'll archive my goals for that month on the backside of the weekly page at the beginning of that month, so when I flip through my book I can reference past goals and see how I'm progressing as the year goes on. 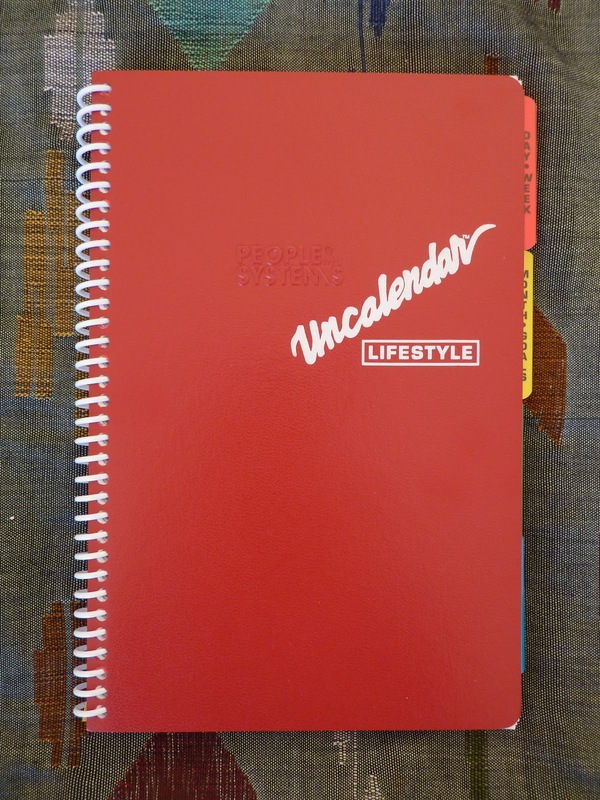 There are lots of features in this planner that allow you to customize your WeekDate usage in many different ways, like the lined space on the weekly page, and lined space on the backside of the week pages. It's a very flexible system that can be used in endless ways and in many different contexts. For example, I'm a SAHM and use it mostly for household and kids' stuff. But an executive could use it to keep track of meetings, sales and finances. 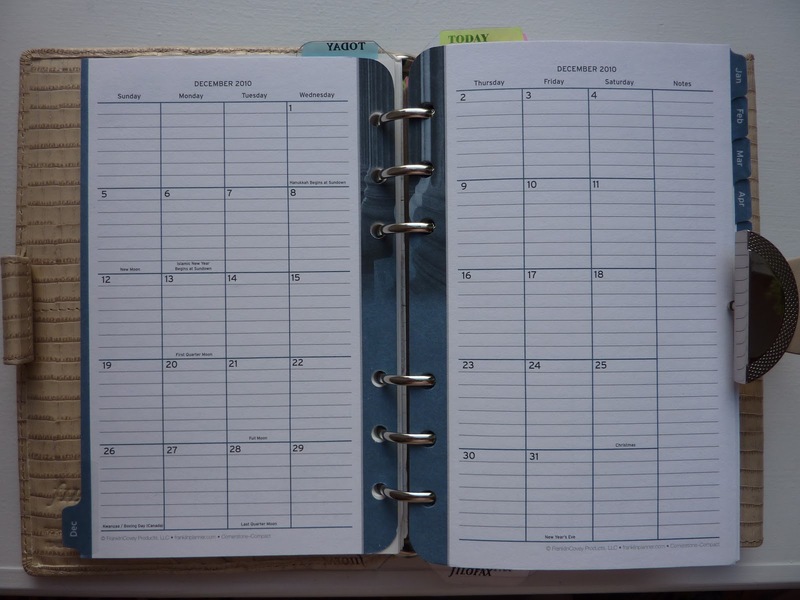 Students can put their weekly class schedule in the bottom section to make sure they don't make any conflicting appointments, and write their assignments due in the day spaces. 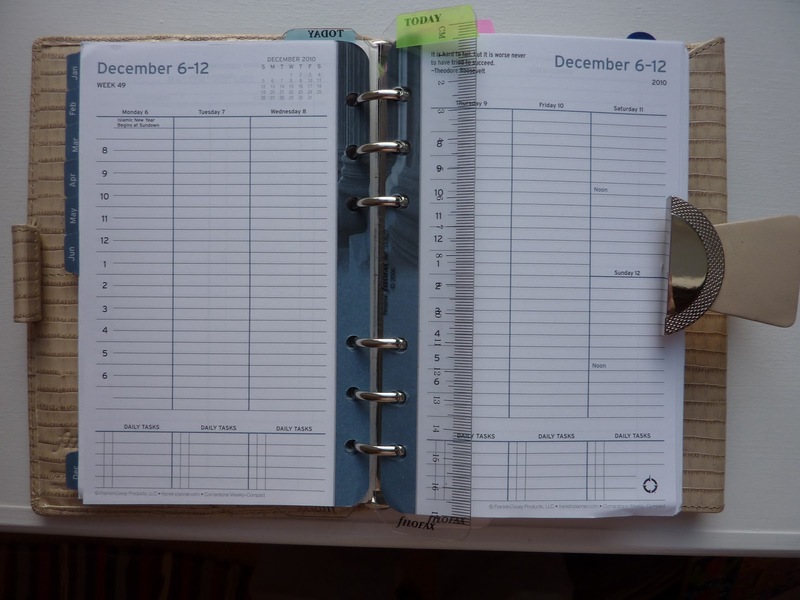 Working parents will probably benefit from the WeekDate system the most, because they can use it to keep up on work and family obligations without having to re-write and double-check everything constantly. Write it once, then go with the flow! I love the little details that make a big difference, like the tear-off tabs for finding the current week instantly and the monthly indicators at the edge of the page to easily find a future date. We all know how much I love monthly tabs! 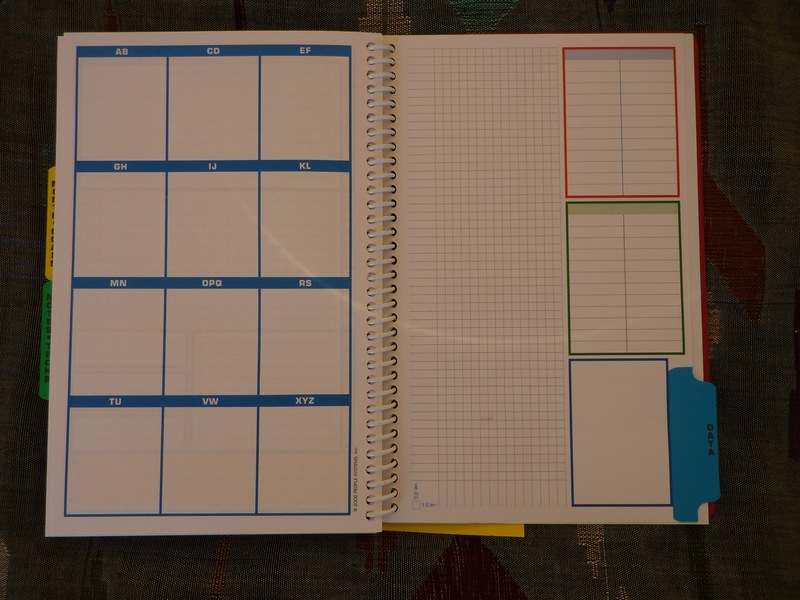 It's wonderful how the planner opens out big with lots of space to write, but folds down to such a slim and portable size. And, I love that all seven days are full size columns, with Sunday right up there alongside Saturday for easy weekend planning. WeekDate products are available only online, at www.weekdate.com. If you are interested in these be sure to hurry because they sell out quickly each year! Here is a guest post from Avrum, a family therapist specializing in helping teens and young adults, detailing his fantastic self-made planner layout. 1. Gratitude: Mostly taken from Dr. Ben Tal-Shahar's work. While I don't subscribe to the hyped claims of positive psychology, I find some of the tools helpful, both for my clients and me. The gratitude section gets filled out before I go to bed. 2. If I... 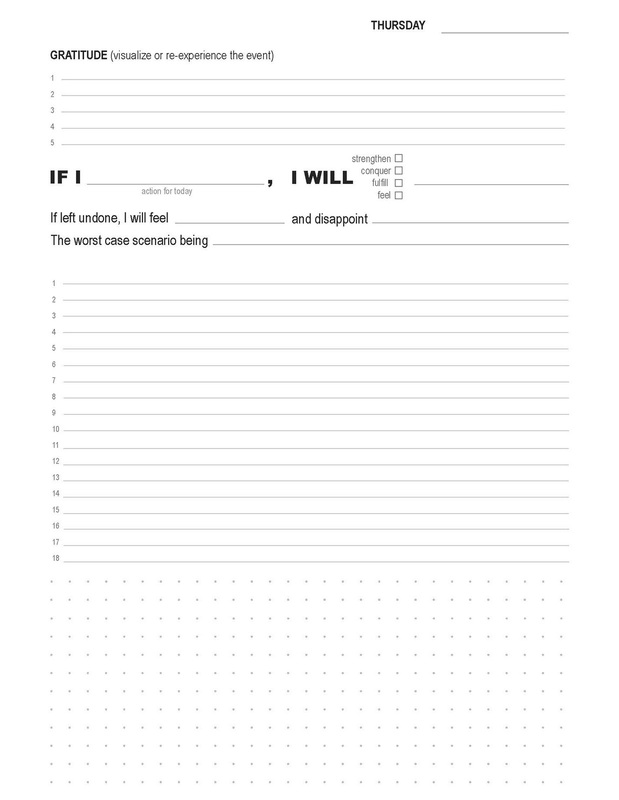 I will: Choosing 1 significant (read: scary or something i'm resisting) task per day. 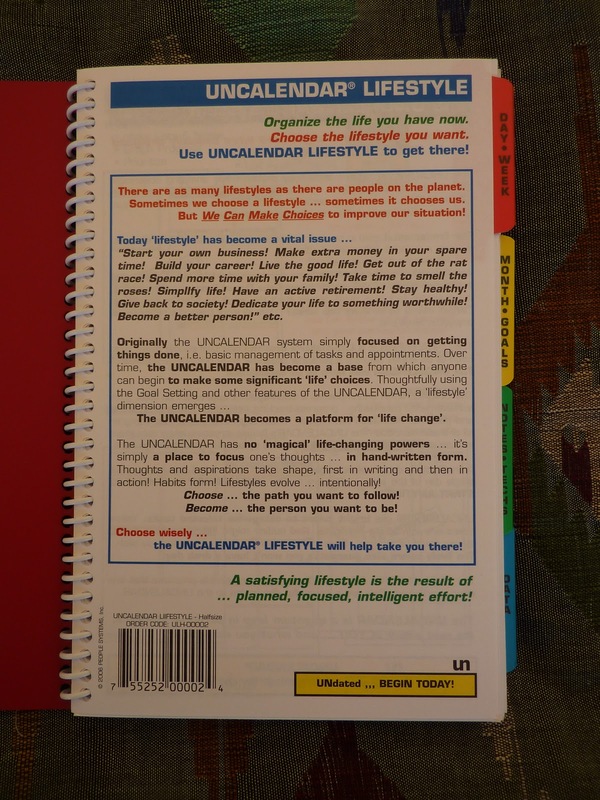 Inspired by many: Leo Babauta, Stephen Covey, Tim Ferris and others. Influenced by David Seah's work (design and process), I use prompts i.e. 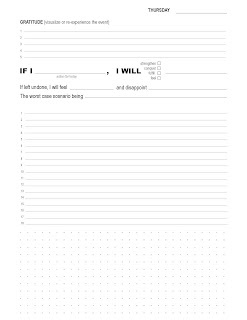 I will... to increase mindfulness vis-a-vis benefit/cost ratio for a significant task. Without the prompts (and general design aesthetic) all tasks look the same and, in my opinion, reduce motivation. 3. 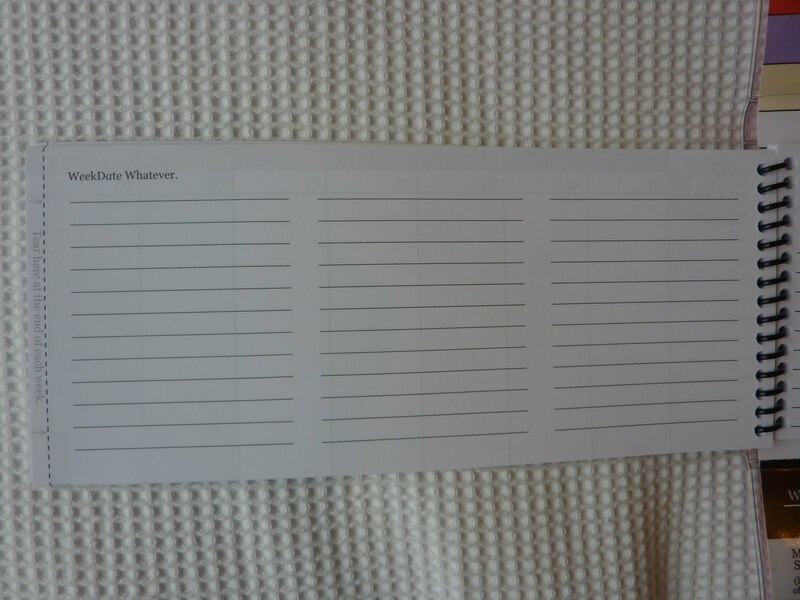 Numbered list: I've tried every time management system you can think of, but I find Bill Westerman's Getting Sh-t Done - http://www.utilware.com/gsd3.html - to be the best for my needs. As well, my wife (a child and adolescent psychiatrist) and I are co-authoring a book. We also have a 5 mo old baby boy. As you can see, a trusted system allows me to stay on top of all these projects. Avrum thank you so much for sharing your system and methodology with us! I love how you've combined professional, personal, organizational and creative all in one! Avrum, congratulations on reaching your own Planner Nirvana!!! 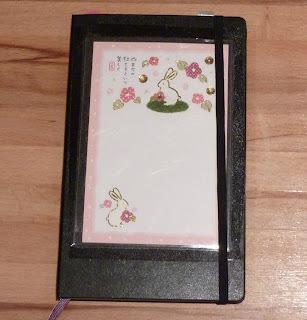 that my Filofax experiment has failed. A moment of silence please. I knew that writing everything in three times (in the monthly, weekly and daily sections) would be a lot to keep up on. But that wasn't the half of it. I wrote my monthly goals on the back side of the monthly pages. 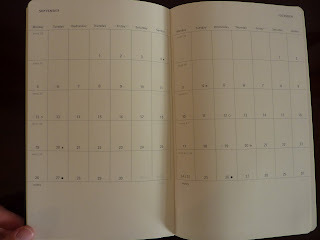 As a result, my goals weren't visible while looking at my month. 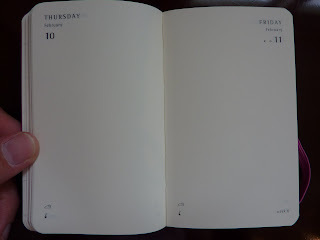 Even worse, my weekly tasks were written on the back side of the weekly pages, again out of sight. 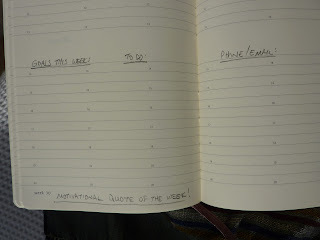 I had to look at my weekly to-dos often, and write them into the day pages where I thought I might do them. But if those tasks didn't get done that day, I had to re-evaluate when I might get it done and write it in then. Wash, rinse and repeat. As a result I had several different places to look for any given thing I'd written. And, I didn't have any overall views of anything. The other day I needed to look something up in my Trinote and realized there are only two views: my weekly page with that week's tasks, and my monthly calendar with that month's goals. So much simpler. And no flipping page after page to find what I need. I gave up on this system after just a few days because it was proving to be a lot of work double and triple checking that I had things written where they should be. After only a few days I was already losing things in the pages. This week I'm very busy and have a lot to prepare for, and I can't afford to miss any details. I went back to my trusty Trinote to make sure I get everything done properly during this very busy time. This system could possibly work for me if I had more patience and diligence with keeping up on it. 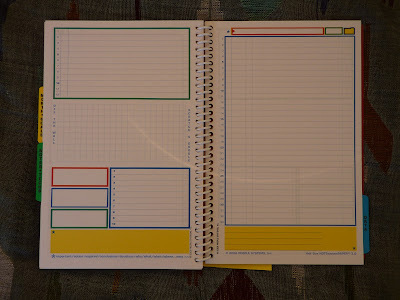 But my goal for my 2011 planner is the opposite: I want my planner to be as simple as possible. 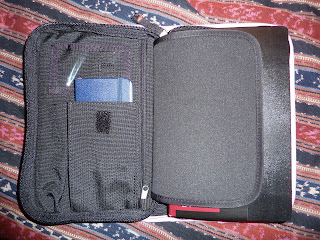 Part of the reason I'm looking for something other than my Trinote is to have a smaller, slimmer and lighter book. My Filofax is not. Below is the lineup of the Planner Finalists. 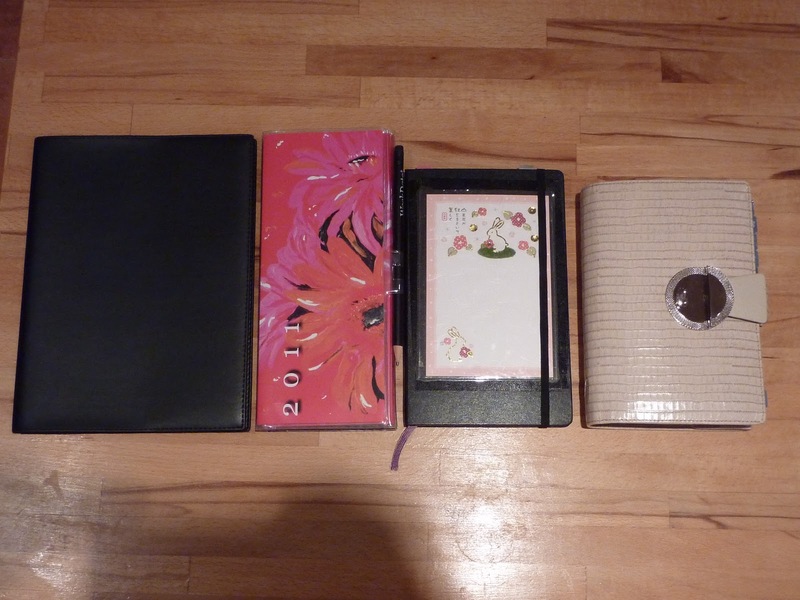 Left to right they are Trinote, WeekDate, Moleskine vertical weekly (with the rabbit postcard I got as a free gift with my Rabbit planner taped to the front), and personal size Filofax. 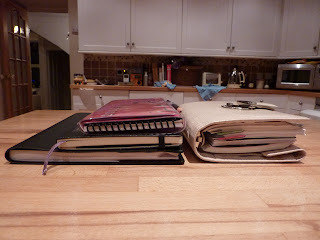 As you can see, the Filofax has the smallest footprint. 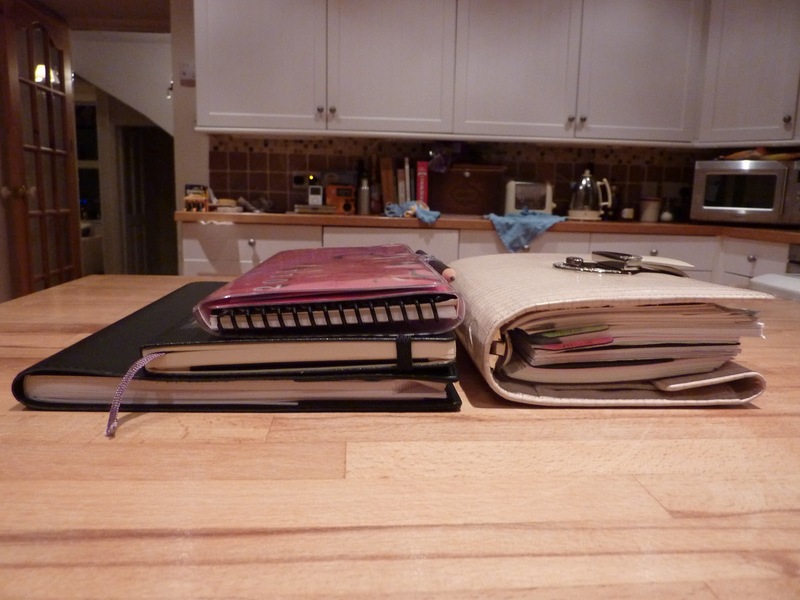 Here is the Filofax next to the Moleskine weekly vertical. Yeah. And don't even get me started on the weight. 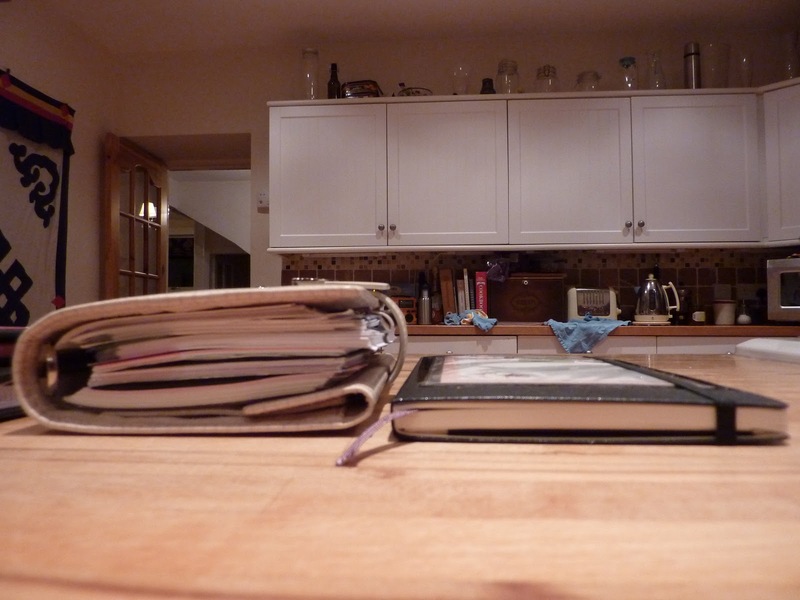 The Moleskine and the WeekDate are virtually weightless, the Filofax weighs a ton. 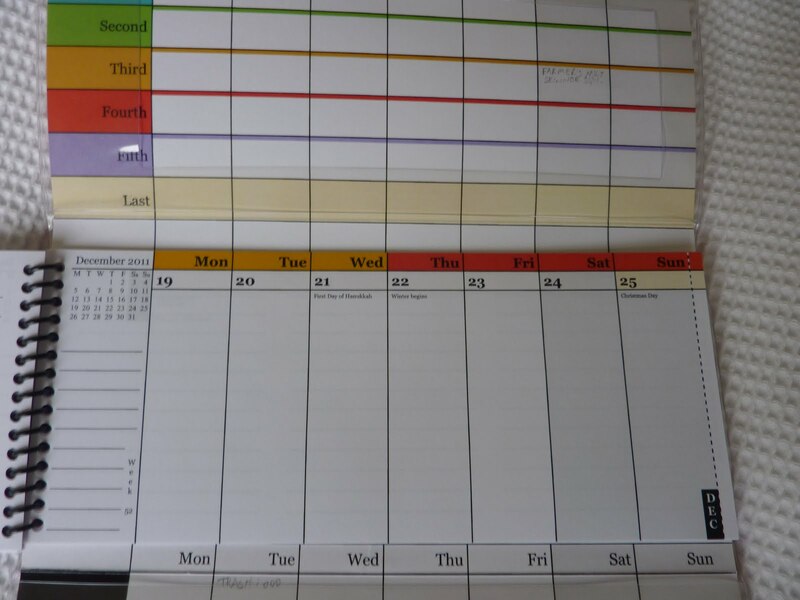 I'm glad I did this Filofax experiment, because I've tried for years now to make my Filofax work well for me as my planner and this system was definitely worth a try. 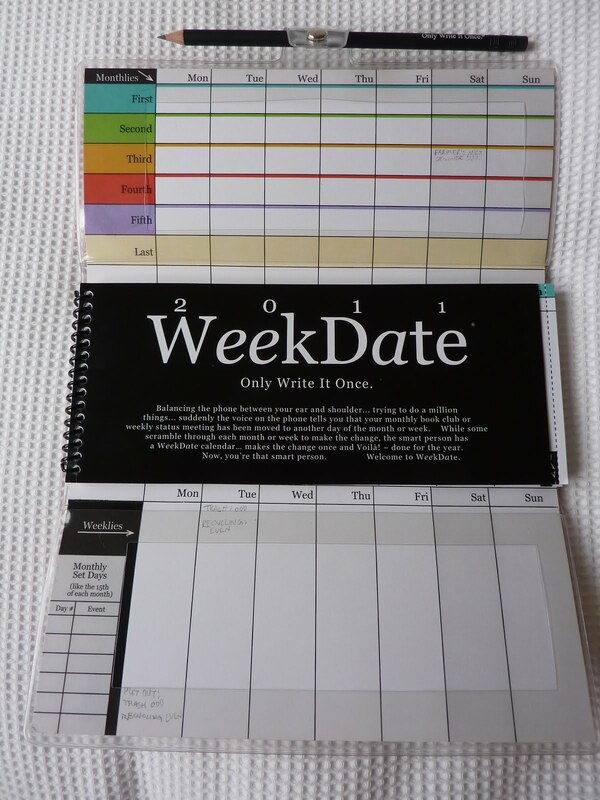 So now I've narrowed it down to the WeekDate, Moleskine vertical weekly, or Trinote! 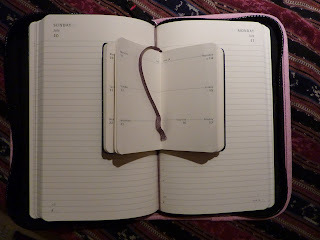 Starting December 27th I'll have a competition between my WeekDate and Moleskine. By the end of January I'll either have a clear winner, or the Trinote will prove to be the best after all. I have so many 2011 Moleskine planners by now, I've been thinking of ways to use more than one at a time. 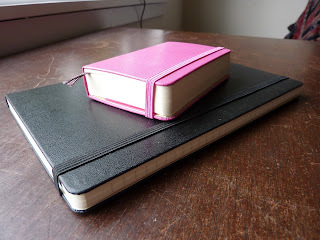 Alternatively, I could use my Extra Small Daily planner as my satellite to jot down details on the go, while my Large planner (whether Daily, Vertical Weekly, or Weekly Notebook) stays home on my desk. 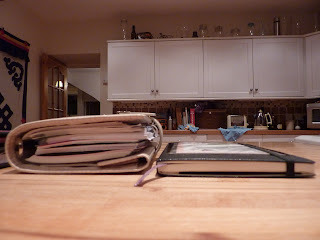 The Extra Small Daily is tiny and can go everywhere with me, but each daily page is still plenty big to write details. Here you can see my Extra Small Daily with my Vertical Weekly. I love this photo! Another option is to use my Vertical Weekly with its big week view layout along with a Moleskine cahier notebook to keep my lists in. This has the advantage of allowing my weekly schedule and lists to be visible simultaneously with the books open next to each other. 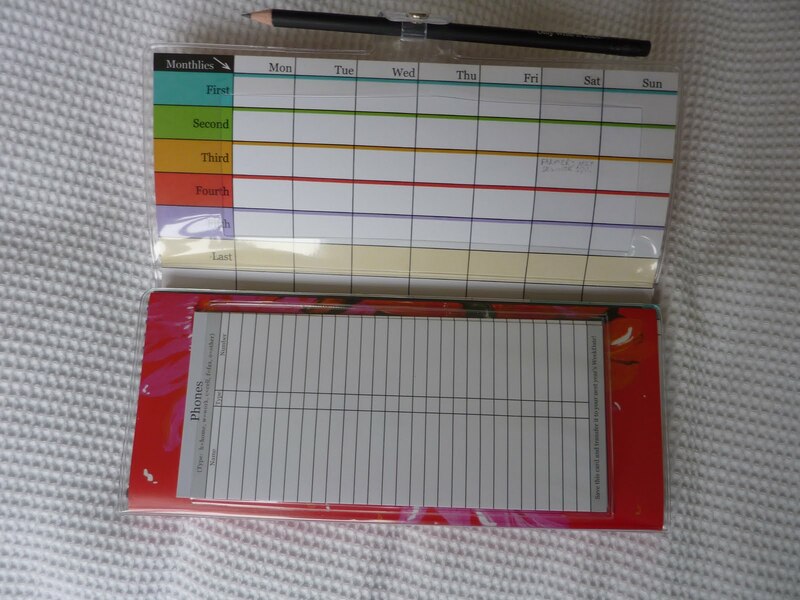 This would be a great option for having loads of space to write each day and also to have loads of space for my weekly lists. 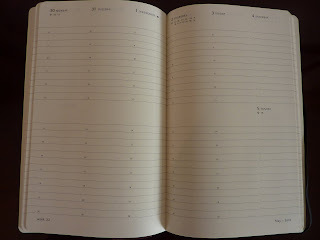 I could date the cahier pages "Week Of..." to keep track of what tasks I did when. Here you can see my Vertical Weekly with my large Cahier (with my Life Is Good sticker on the cover). 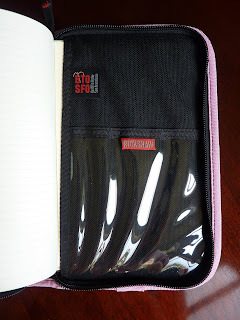 Because my Rickshaw Bagworks Classic Moleskine Folio is designed to hold the large Moleskine journal (which is thicker than the 12 month weekly planner), the folio can hold the weekly planner with the thin cahier notebook on top of it. Zip and go! 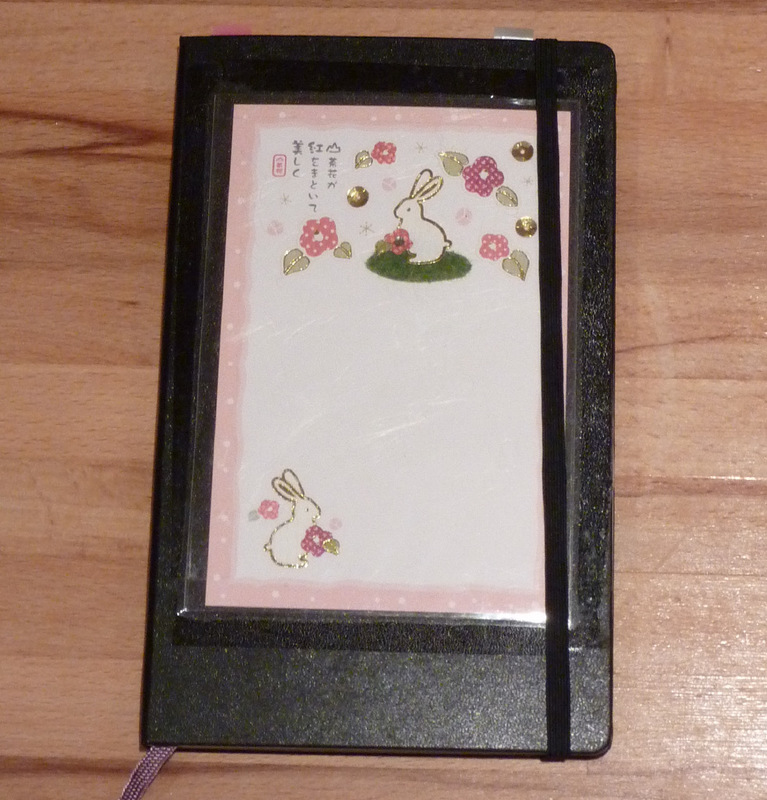 It's day two of my Filofax experiment, and so far so good! Already I really like being able to see the daily details and the week layout. Today I got so much more done than I normally would on a Saturday, and I felt more focused on what I needed to accomplish. I've been playing around with my pages and deciding what to put where. I realized I'll be opening my rings often to add and remove diary pages, so I needed to rearrange some things to make the diary pages closer to the middle of the book. I even tried putting the address pages in the front of the book but didn't like that. I ended up putting my reference information and maps all up front, and took out some pages that didn't really need to be in there. Now my Filo is holding monthly pages through all of 2011, 5 months of weekly pages and a month of daily pages, which is great. Something I've discovered that I love: I can write my monthly goals on the backside of the Franklin Covey monthly pages, which is wonderful. 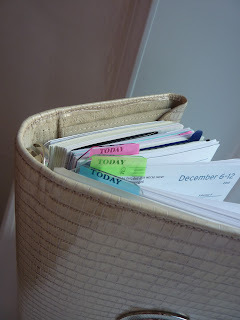 I can also write tasks that have to happen in a particular week on the back side of that week's pages. Then I can transfer those tasks to the daily pages when they need to be done. Possible pitfall: Writing each appointment in 3 different places might be the downfall of this system. Already I've caught a couple of appointments that didn't get transferred to where they needed to be. All this re-writing has me thinking the "Only Write It Once" system of WeekDate sounds really good. I'll be experimenting with that next month so we'll see which system works better for me!